Potential customers first impressions of a boat are absolutely vital. 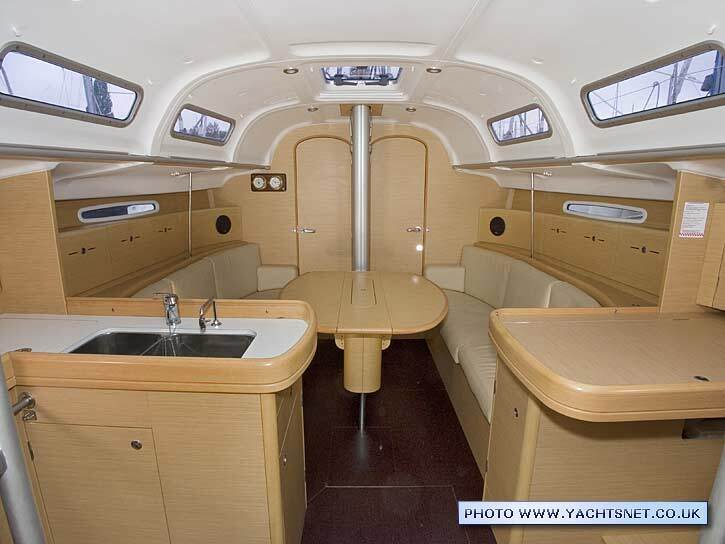 With Yachtsnet they will already have a very good idea of the condition and general appearance of the boat, thanks to our detailed pictures and honest descriptions, but nevertheless that first moment when they step aboard is completely critical to making a sale. Imagine the different impression a buyer will receive if on stepping aboard a yacht for sale there are two sails in bags on the settees, an open toolbox on the saloon table, and a pile of engine parts on a newspaper on the chart table. The other factor that is just as important as the first visual impression is smell - does the boat smell damp and musty or clean and fresh. The lingering aroma of diesel or even worse smells from the heads are a virtual guarantee that many boat buyers will immediately write it off as a prospective purchase. Ashore or afloat - which is best for selling a boat ? If you are selling a yacht, there are advantages and disadvantages to both situations. In general, however, having the boat ashore is best. Buyers can see the whole boat including the hull condition, and it is easier to empty the boat of personal kit once ashore. Buying a boat is however influenced by much more than cold hard logic, and a boat is somehow more appealing when afloat, especially on a beautiful sunny day. 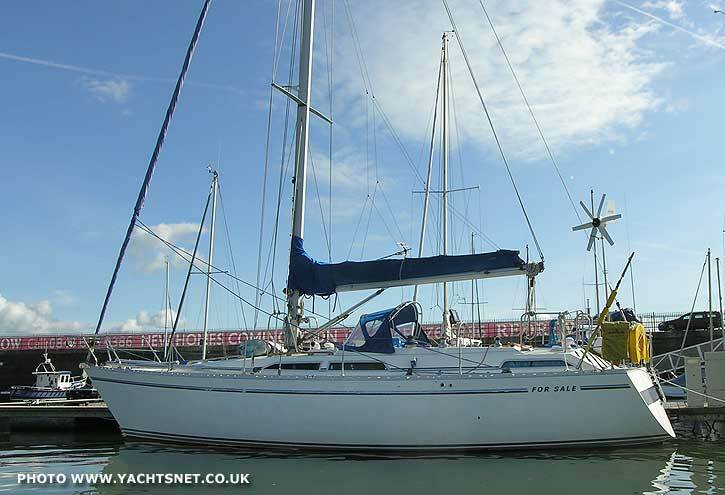 The downside to having a boat up for sale afloat is that if she is on a swinging mooring, it can mean a dinghy trip to get aboard, and many buyers will arrive to view a boat with partner, children, and "Uncle Albert who knows about boats". Add in a windy, wet day, and you have a recipe for problems. 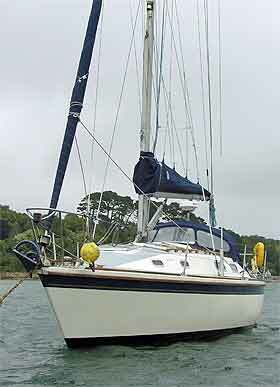 The closer to midwinter, the better it is to have a yacht for sale either ashore, or on a walk-on pontoon berth if afloat. With yachts on swinging moorings, we strongly recommend going out to the boat in advance, and arranging to meet the buyer at a local club or harbour pontoon. Once a boat is ashore, as much loose equipment as possible should be removed. If equipment or items such as crockery, glasses etc., have properly dedicated stowage, and won't suffer from being left aboard, leaving them there actually helps present the boat - the proper stowage being a positive feature. In general, however, the less unnecessary equipment and stores on board the better. Apart from anything else, taking as much gear as possible out makes the boat look bigger! Bunk cushions are almost always best stored out of the boat over winter, but unfortunately the condition of the upholstery (if good) is a major selling point, so usually they are best left in place. The normal 'rules' about providing lots of through ventilation for laid up boats are also important in keeping a boat dry. However, if you have access to mains power, a small electric dehumidifier left running with a drain pipe to the sink outlet is absolutely superb at keeping boats dry, at relatively low electricity consumption - and in this case you actually need to restrict ventilation, to avoid having to try to dehumidify the entire planet. Whilst external cleaning can really only be done effectively a day or two before a viewing, other work bears dividends that last rather longer, and is good routine maintenance anyway. Washing sails and warps, gently cleaning any external teak (perhaps with the help of Teak-brite or similar product), polishing GRP with a cleaner/polish such as Farecla, polishing rustmarks off stainless steel with Autosol, and wiping faded plastic parts such as instrument housings with a silicone polish, all help both look after the boat and make a good initial impression on a buyer. 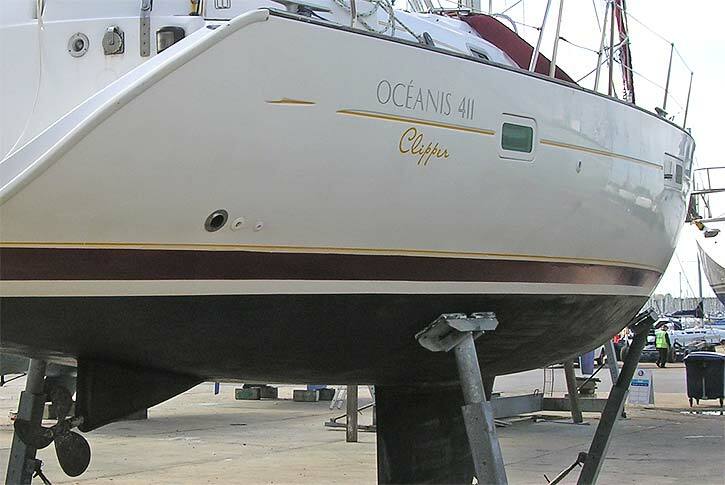 The common yellow-brown staining around the waterline can be very easily removed with oxalic acid, or one of the proprietary cleaning products that contain it, such as Y10 or Starbrite rust stain remover, and makes the boat look much smarter for half an hours work, as long as the temperature is warm. It does not work nearly as well in cold conditions. The bow of the boat shown above has just had this job started. If the yacht is out of the water, clean and polish the topsides, and if required put a coat of paint on the boot topping, masking carefully to ensure straight clean edges. At the very least scrub clean the bottom. If there is an external iron keel, make sure that any rust-patches are wirebrushed off, primed and undercoated. 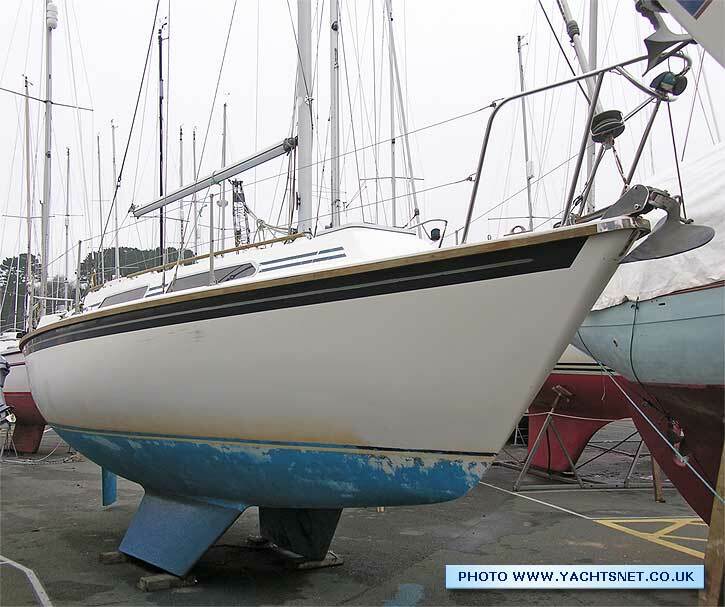 A coat of antifouling will make the yacht look much better, but if the buyer has a survey done the surveyor will probably scrape patches off, so don't put on more than one thin coat. The difference between a dry, clean, tidy boat and a damp, dirty and cluttered one can range from simply making a sale or not, to a difference of thousands of pounds in the final sale price. 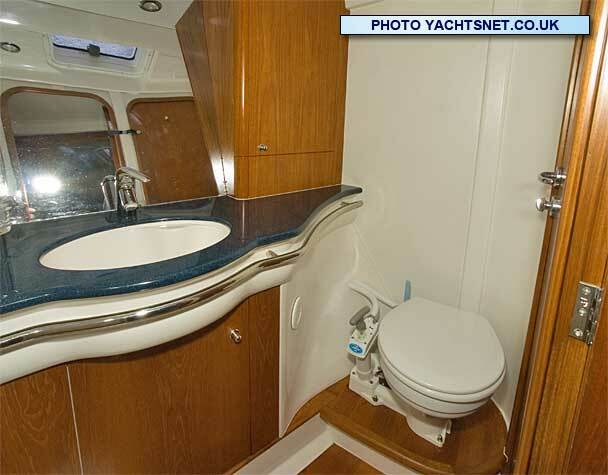 Buyers often look at three or four similar boats if they can - and the impeccably clean one always sells first! If you are buying another boat, you may want to keep some items of equipment. Particularly with portable electronics, and "use-by-date" items such as flares, however, you may find that keeping the overall package attractive by having a "ready to go" inventory is worth more than the cost of buying new replacements. Besides, the new GPS or chartplotter you buy will be cheaper and better than the old one you sold with the boat, and the flares had only a years in-date life in them anyway! Buyers generally know how much they have to spend, and will deduct from this whatever they have to spend immediately on essentials to equip the boat. By all means take out a few of the newest and biggest fenders, and your own lifejackets and harnesses, but in general offer a boat ready and able to be sailed away without too much expenditure. The boat will be advertised with an inventory of equipment, such as sails, engine, fixed systems such as the cooker, pumps, heads and various items of electronics and extras. Make sure everything that is to be on the inventory works properly and is on the boat. If it doesn't work, fix it, replace it, or remove it. Regardless of the condition of the boat the price is critical. If the asking price is too high it will not sell. We will guide you on this, aided by data from industry-wide historical brokerage data. Holding out for too high a price will mean that you will continue to have to pay to moor, store, insure and maintain the boat, all the while it is getting older and possibly less valuable. The final word on pricing is not to expect to recover the full cost for new equipment or upgrades you've added to the boat. New sails, a new engine or new electronics will make your boat more attractive and easier to sell, but do not expect to be able to directly add the cost to the boat's value. 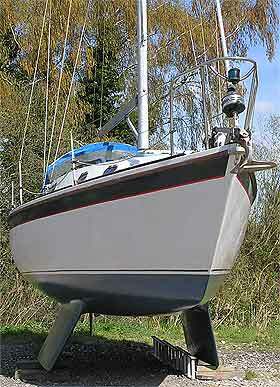 An engine change may cost £9,000, but it is unlikely to add more than a third of that to the boat's sale price. Money invested in repairs, rebuilds, refits, or maintenance should be thought of as keeping the boat at market value and of course, easier to sell.